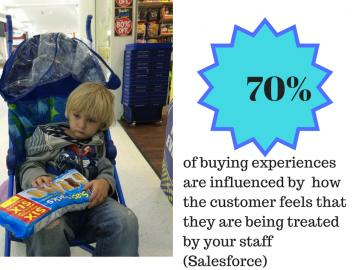 If you are not measuring customer experience, you should consider it as it will impact on your business performance. There is a frequently quoted US statistic that it costs 7 times as much to find another customer as to sell to a current one, but this depends on the size and the industry that the company is in. No matter how effectively a product or service does a job, if the overall customer experience is soured by a perceived lack of service then many consumers will go elsewhere for their next purchase. However research in the 1980s suggested that just 19% of satisfied customers purchased the same brand of car when they needed a new one - cars had moved on or the job that the customer needed done had (for instance having a family would mean a different type of car was needed). Customer experience is a key part of a business in making customers want to do business with them and Planned Market Research will help you set up the most appropriate monitoring system. This could be an online survey based on each transaction, sample of infrequent customers or a deep dive with key accounts or exit interviews with customers who do not renew a membership or subscription. To provide the right service for your business we recommend you contact us for a no obligation consultation.